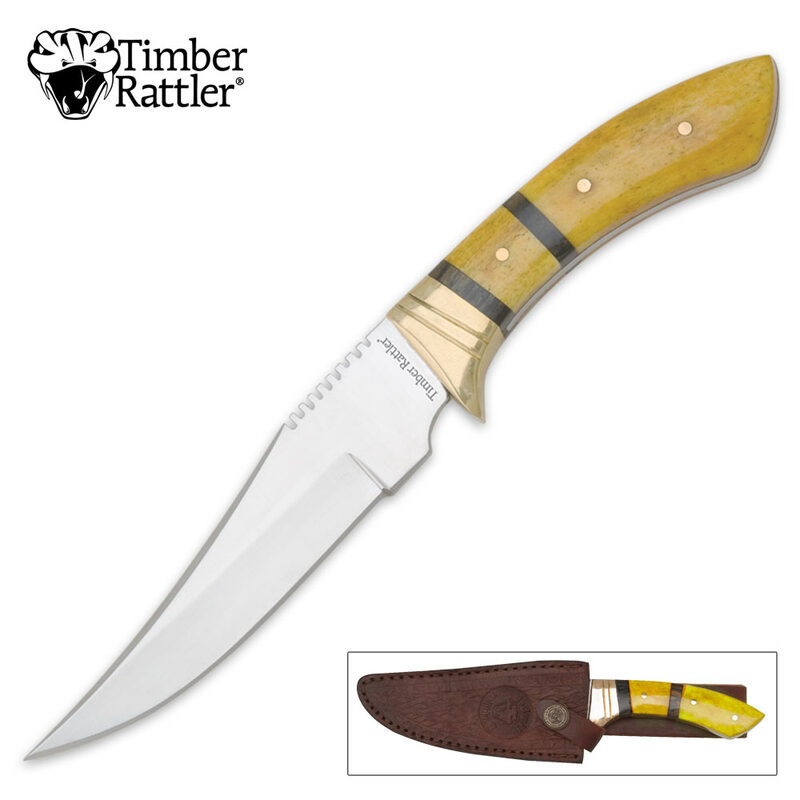 Timber Rattler Standard Boning Knife | BUDK.com - Knives & Swords At The Lowest Prices! 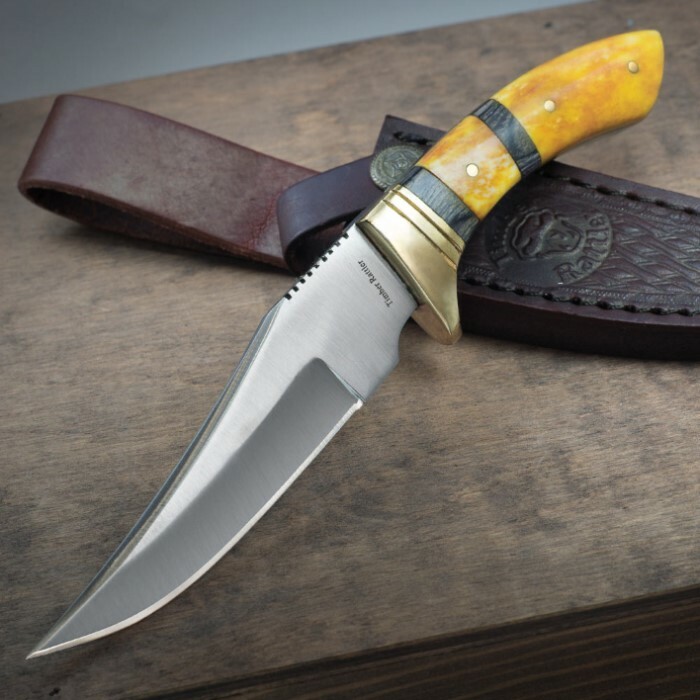 A classy knife is hard to find, but this Timber Rattler Golden Standard boning knife will surely fit the bill. This blade is really nice, from the appearance to the fitment and craftsmanship, its all there. From the moment I opened the box all I could think was, "How can they afford to sell this at this price?". It is really that nice. Definitely buy a couple so you have some to give as gifts. Anyone you show this to is going to want one! The pictures do not do this knife justice. IT IS BEAUTIFUL! The handle on this knife is a hundred times nicer than I ever thought it could be. The blade on mine came very sharp. It should cost five times what it does. So you should buy a couple of these at this price. Now! I have ordered 5 of them I kept one and gave the other 4 away for Christmas. they came sharp and hold an edge well work great on Dove Quail frogs and fish! pull it out with buddies around and they all look at it and and ask where I got that knife and how much. Super great knife. You will not be disappointed in this knife. I gave it a fine tuning on my knife sharpener. It is now razor sharp. However, this knife comes out of the box very sharp. I just like to fine tune my blades on a diamond sharpener. One terrific knife. I highly recommend it to anyone. Super Handsome knife! Extra Sharp!! Slightly undersized but you barely notice so long as you give it the right job. Carve some wood and then carve your steak...5Star, HighQ knife!!! Over all this is a great looking and good feeling knife but the workmanship is less than I'm used to with Timber Rattler. The alignment is off a little and the sheath does not fit this blade well at all. However, at this price it is still a very usable tool and pleasing to look at. 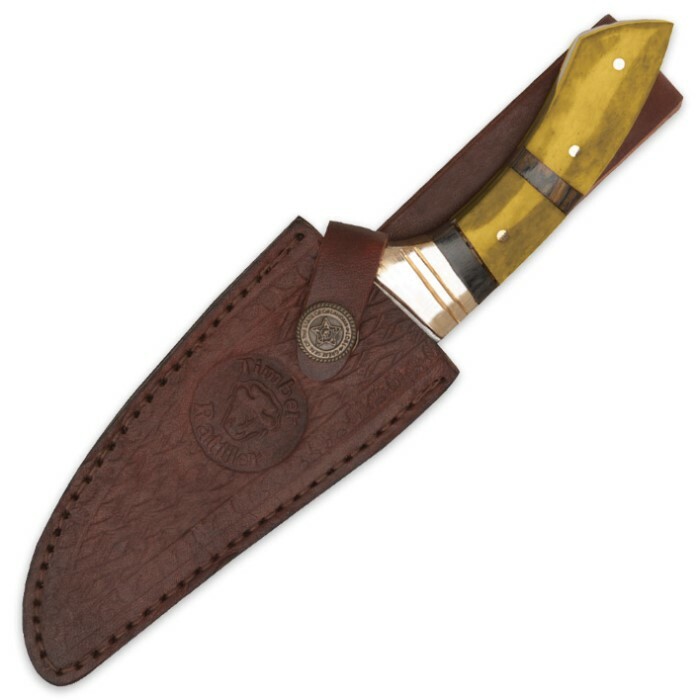 A 4 stars on the knife and a 1 star on the sheath equals a 3 over all.